“Frequencies On The Earth…Now is a 12 month series which outlines monthly tips for living life in changing times channeled from the Ancients, Masters and Source. The show will include your questions and calls to discuss topics outlined monthly in our series. The call in number is 347-308-8003. Mother Earth receives messages daily; how to move, how to act, react and change to the other planets in the Solar Systems. What if we are exactly the same? These frequencies or thoughts we receive are transient. Often they are received when times are troubled or changing. Perhaps we pick up on them once life seems “just perfect”. Learning to terrain change with help from beyond is what Mile High Psychic Medium and Energy Practitioner, Michelle Houchens is all about. Over the past twenty two years, Michelle Houchens has studied with the Energetic Masters around the planet. 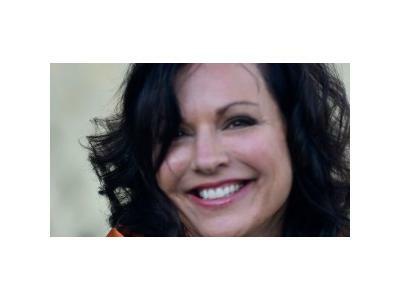 She is internationally known in media as the Mile High Psychic Medium, Medical Intuitive and Energetic Practitioner. She is regularly featured on TV, print and radio in venues such as Fox News, BIT Radio, NPR Affiliates, Get Focused Radio, ALICE 105.9 FM, Award Winning Talk Radio KHOW with Peter Boyles, and Denver’s Westword Magazine. Her training spans as a Psychic Medium since the age of five to a 21 year Fortune 100 Executive in the Medical Device Industry. She is formally trained as an RN, NLP Practitioner, Advanced Hypnotherapist, Advanced Theta Healer, PSYCH-K® Facilitator, a US Patent Pending Holder, Certified Mediator, and Honored Earth Steward.